A jazz legacy comes to Erie. Musical families aren't exactly common, but right now, we have a very active and famous jazz family in Wynton Marsalis, his three brothers, and their father Ellis. Before them, however, was yet another jazz family – the legendary pianist/composer/leader Dave Brubeck and his four sons: Darius, Matt, Daniel, and Chris. Chris is coming to town April 2 with his trio, Triple Play. Coincidentally, the date is six years almost to the day since his father performed with his quartet at the Mary D'Angelo Performing Arts Center. Maybe the connection of the dates was intentional, since Nick Scott's Scott Enterprises sponsored Dave's appearance and also is a sponsor of Chris's performance. 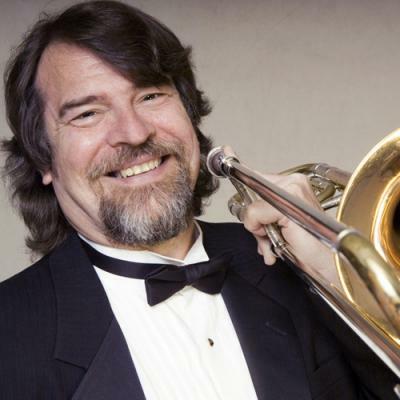 The versatile, 63-year-old Chris is a jazz and classical composer and multi-instrumentalist, playing mainly electric bass, but also bass trombone and piano. Oh, he also sings. He and his siblings have played together in different bands through the years, and in 1972, he joined his father and brothers Darius and Daniel in The New Brubeck Quartet. Later, he formed The Brubeck Brothers Quartet. For the past 30 years, however, Chris has toured with Triple Play, with guitarist Joel Brown, and also a multi-instrumentalist, Peter Madcat Ruth, a Grammy Award winning, virtuosic harmonica player, who also sings (all three members sing), plays ukulele, guitar, high-hat, jaw-harp, penny whistle, kalimba, banjo, and other folk instruments from around the world. Triple Play's music? Well, let's just say it sure isn't be-bop. The band's press release calls it "jazz, Louisiana-style." It swings, alright, but with a southern drawl. One lively tune on YouTube reminded this writer of a hoedown, just not as corny. Brown was playing acoustic guitar and proved to be quite a picker. Chris romped on piano and Ruth lived up to his billing on the blues harp/harmonica. The Los Angeles Times called Triple Play "rollicking good fun" and talked about the group's "flair and virtuosity."